Now in its 3rd year, this indoor show has come a long way (2011, 2012). 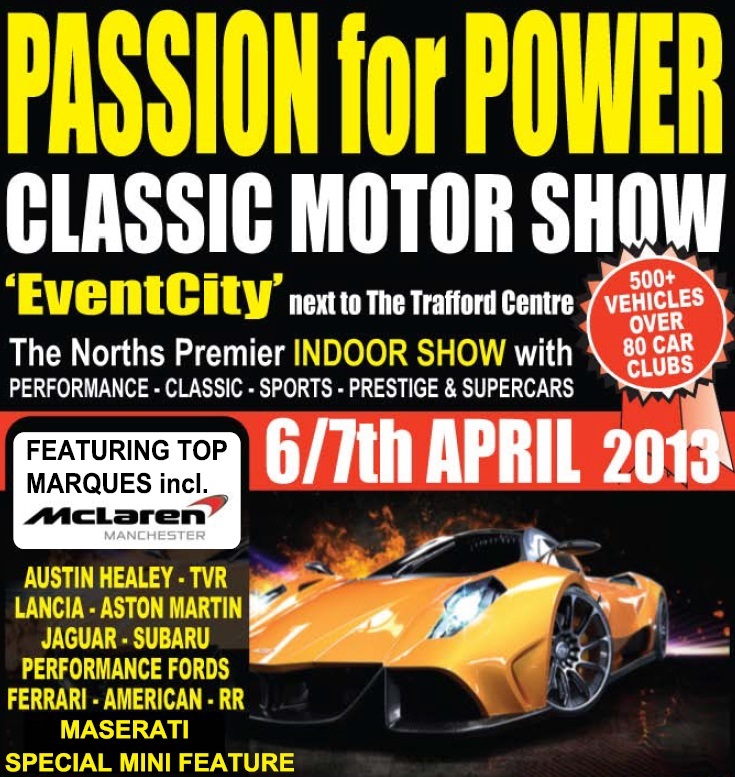 Now rebranded this classic car show now included for the cancelled "passion for power" event from late last year. What this meant was the usual classic car event with all the car clubs, traders and individual showers, all up on numbers from last year, now joined by some classic and modern day prestige machinery, by the likes of McLaren, Roll Royce, Lamborghini and Ferrari. Add to that the awesome Italian Replica club, granted there were a few MR2 specials but the P4 was just staggering in the finish and attention to detail. That was also the same with the GT40 stand where you would not know, the white one especially, they weren’t the real McCoy. Walking around took nearly 3 hours the club entries were both traditional, MG, Stag, Ford Capri, Mini and more unusual Lancia, Talbot, Metropolitan as usual it’s the club entries that can make or break a show. Here though the mix of clubs meant you could see a real camaraderie between the people showing and attending, chatting and swapping stories giving the whole event a relaxed atmosphere. the only thing that got temperatures raised was the heating, which as tradition now states, has to be switch in to full!!!!! There were a few standout highlights for me, the (Inter) National Microcar Rally club stand just had such an awesome mix of cars that I've never seen before including a BMW 700Sport Coupe, Scootacar and Frisky to name a few. Most of them will now be appearing on here. Next the outstanding car at the show, believe me this was tough actually whom I kidding!!!! as soon as I saw this from a distance I knew it was something special, add to that I'm a huge Lamborghini car, the bright yellow Urraco?. It even pipped the black Countach!!!!! This was the first time I'd seen one of these underrated Lamborghini's in the flesh and it didn’t disappoint. This was a great show that really has come a long way since 2011 when it was the inaugural show at the newly opened Eventcity. 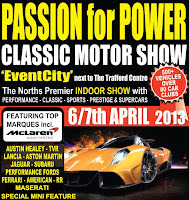 One that will stay on the calendar as I believe next year it will attract more exotic and the cream of classic cars.